Kedarnath Jyotirlinga Temple is one of the most powerful temples of Dunuya, it is 85 feet high, 187 feet long and 80 feet wide, its wall is 12 feet thick. This entire temple is made of the strong path, only then this temple will be used for 400 years of snow Nothing happened while inside. Scientists believed that the temple of Kedarnath Jyotirlinga was suppressed in the ice for 400 years, but still, he was safe. From the 13th to the 17th century, i.e., for more than 400 years, the ice was buried under ice, in which a large area of Himalaya was buried under the ice. 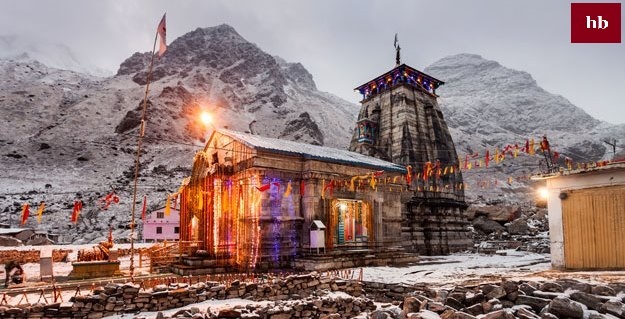 According to the scientists, Kedarnath shrine was pressed into ice for 400 years, but nothing has happened in this temple, so scientists are not surprised that this temple is saved in the flood situation and Uttarakhand floods. Vijay Joshi of Dehradun's Wadia Institute of Himalayas said that despite the fact that the Kedarnath temple was submerged under the ice for 400 years, this temple was safe, but when the snow was gone, the marks of its departure were present in the temple, whose scientists This study is based on the basis on which the conclusion has been taken. Joshi says that from the 13th to the 17th century to 400 years, a small ice age was faced, in which a large area of Himalaya was buried under the ice. The temple was not inside the glacier but it was under snow. According to the scientists, its marks also appear inside the temple. If the walls of the walls are seen from outside, then the stones are flat on the inside, as if they were polished. According to some people, this temple was built by Raja Bhoj, who was the ruler of Vikram Samvat 1076 to 1099, who ruled the city from 1076 to 1099, but this temple was constructed by Adi Shankaracharya. 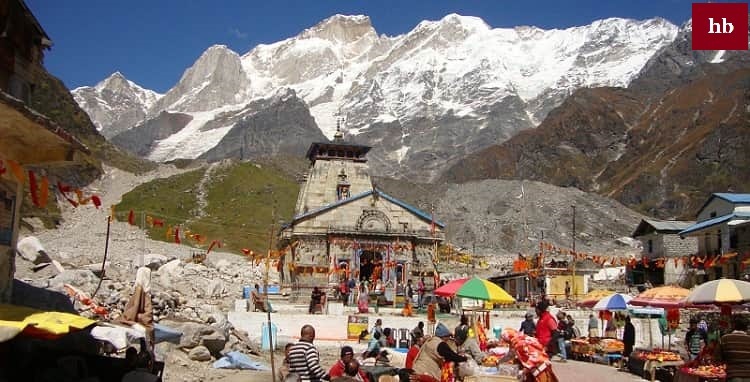 It is said in the 8th century that Pandavas had built a temple behind the present Kedarnath temple, but the invasion of that time could not be tolerated. However, according to Garhwal Vikas Nigam, the present temple was built by Adi Shankaracharya in the 8th century. That is, this temple was already built before the period of the small ice age that began in the 13th century. If Lord Shiva escapes someone, then you will be amazed to hear him. But it is true that Mahadev was forced to flee from five brothers, not only did these brothers forced Mahadev to hide their identity unless they were made bulls. If you are not sure, then we are telling you the story of Mahabharata and such a proof, after which you will agree that the five Pandavas had forced Lord Shiva to become a bull. The issue was at that time when the Mahabharata war had ended and five Pandavas were reviewing the war with Lord Krishna. Krishna told Pandavas that though you have been victorious in the war, you have become a part of sin due to the killing of the master and your brothers and sisters. It is impossible to get rid of these sins, on this, Pandava asked for a solution to get rid of sin. Krishna said that only Mahadev can liberate these sins, so go to the shelter of Mahadev. When Mahadev came to know that Pandava was coming to him, he became cautious. To prevent the Pandavas from coming in front of them, they started changing the disguise because Mahadev was angry with the Pandavas for the killing of the brothers. Pandavas also came to know that in every situation they would have to get Mahadev and find out the path to their liberation. Pandavas, after Mahadev, reached Kedarnath. Mahadev saw that Pandav came to Kedarnath, then he was looking for a solution to save him; only then his vision went into the herd of animals and he joined the herd of animals to hide his identity. It was difficult to identify Mahadev with the flock of animals for Pandavas. Mahabali Bhim then stood between two mountains. All the animals started getting out of Bhima's legs. All the animals escaped under the feet of Bhima, but Mahadev was feeling uncomfortable going out of the feet and he stood there. What was just, Pandavas recognized Lord Shiva, Bhima caught the bull's hip as soon as possible. Mahadev was forced to appear and to see Pandavas' hard work; they had to get rid of sin. Even today, the evidence of this incident is present in the form of a hip in the Shivlinga of Kedarnath. When Shiva was involved in a bull as a bull, he pulled out a part of his head in Nepal, which is worshiped as Pashupatinath. In the arms of Shiva, in Tungnath, Mukund Rudranath, Nabhi Madmeshwar and Jata Kalpeshwar, all these are jointly known as Panch Kedar. 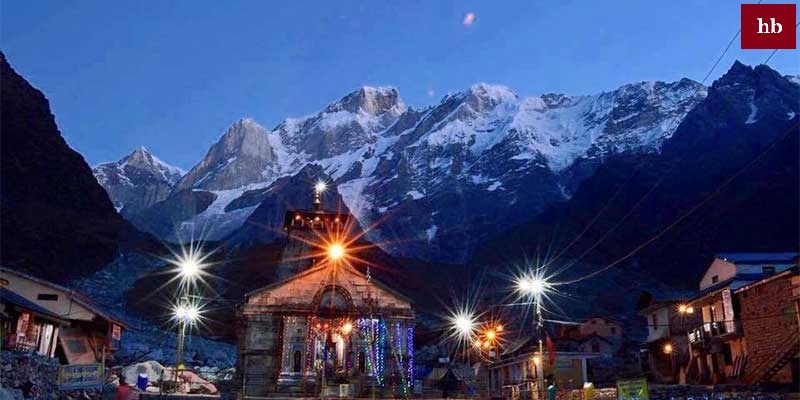 Kedarnath Jyotirlinga is closed on the second day of Deepawali and its gate opens in the month of May, then the journey of Kedarnath Jyotirlinga begins.